Abraham Lincoln had set high expectations for the conquest of the Rebel supply routes along the Mississippi River. Grant had experienced many victories in the skirmishes and battles he had fought. He had advanced his command to the area of Paris Landing after taking Fort Henry and Fort Heiman. But Major General H.W. Halleck continued to write to the President asking him to dump Grant. Instead, Lincoln made Grant a major-general, with “date of rank” being the date Donelson fell. Hitchcock stayed in Washington and Smith, made a major-general on March 21, remained Grant’s junior in rank. Notwithstanding this, Halleck continued to build a basis to move Grant out of the way. On March 3, he wrote McClellan: “I have had no communication from Grant for more than a week. His army seems to be as much demoralized by the victory of Fort Donelson as was that of the Potomac by the defeat of Bull Run. Satisfied with his victory, he sits down and enjoys it without any regard to the future. C.F. Smith is almost the only officer equal to the emergency.” McClellan wired back almost instantly—Do not hesitate to arrest him at once and place C.F. Smith in command.” How tenuous sits the crown. Then came this to McClellan from Halleck. And to Grant, on March 4, Halleck wrote this terse instruction. You will place Maj. Gen C. F. Smith in command of expedition, and remain yourself at Fort Henry. Note: Smith was not in fact a major-general as of March 4. His date of rank was March 21, 1862. The historians and civil war writers have heaped much ridicule upon Henry Halleck for his handling of Grant at this time; however, Halleck had—the objective record reflects—legitimate reasons for limiting Grant’s authority for a short time to the environs of Fort Henry. 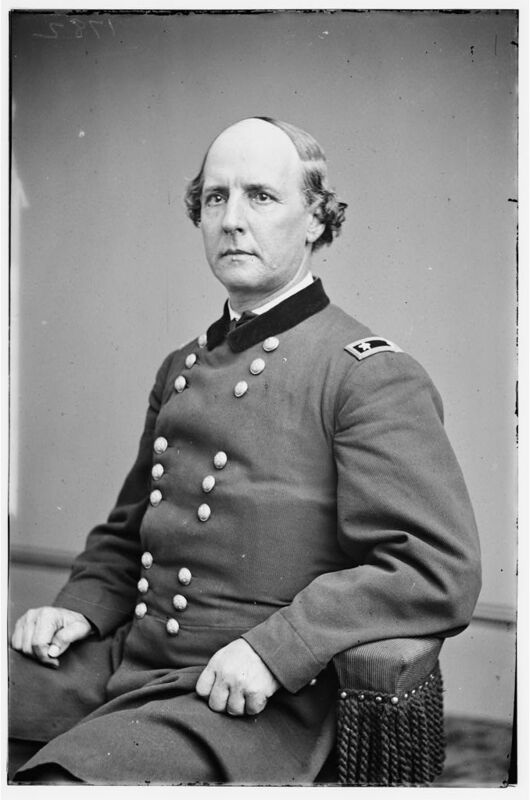 On March 2, Halleck had ordered Grant to move his forces from Donelson to Henry, not aware at the time that Grant had gone to Nashville where Smith’s division had gone, apparently under orders from Carlos Buell. McClellan, as general-in-chief, appears to have been pestering Halleck for a statement of the number of troops and their depositions, under Grant’s command, and Halleck, in turn, was irritated at Grant for not having timely provided them. At or near the same time, Halleck had received a letter from Illinois Judge David Davis, a close friend of Lincoln, complaining of the fact that government supplies, delivered to Donelson, had been redirected into private hands and had made their way into Illinois to be sold on the civilian market. Compounding his displeasure with Grant was the fact that Grant’s troops, in the days following the victory at Donelson, had pillaged the surrounding countryside, without, apparently, Grant taking any action to stop them. On top of this, an officer had made accusations that Grant was seen repeatedly in circumstances that suggested he was dead drunk. So it ought not come as a surprise that Halleck decided to put Smith in Grant’s place to command the “advance” of the expedition up the Tennessee River. I inclose a copy of a letter addressed to Judge Davis. Judge Davis says the writer is a man of integrity and perfectly reliable. The want of order and discipline and the numerous irregularities in your command since the capture of Donelson are matters of general notoriety, and have attracted the serious attention of the authorities at Washington. Unless things are immediately corrected, I am directed to relieve you of the command. But the evidence preponderates in favor of the conclusion that, after making a brief effort to get Washington’s approval for dumping Grant, Halleck decided he had no choice, however unpalatable to his taste Grant was, but to leave Grant in command of the District of West Tennessee, which command Grant continued to hold at the time he returned to Fort Henry on March 5; especially if Grant got his act together which he promptly did. Halleck, at this time, was doing everything in his power to move as much force as possible from every point in his department to the rear staging area of Paducah and up the Tennessee, to reinforce the advance now being made under Smith’s command; the object of which was to reach as far as Eastport—with its strategic objective to establish an advanced staging area for an attack on Corinth, Mississippi, the railroad crossroads between the Mobile & Ohio Railroad and the Memphis & Charleston Railroad. Everything Halleck did, between March 4 and March 17th, when Grant took command at Savannah, was geared to accomplish this goal. On March 5th, Halleck wired Grant, who then was at Fort Henry, the following: “It is exceedingly important that there should be no delay in destroying the bridge at Corinth or Bear Creek. If successful, the expedition will not return to Paris, but will encamp at Savannah, unless threatened by superior numbers. Prepare everything to reinforce Smith there.” At this time, Halleck had Sherman in command at Paducah, forwarding troops to Grant at Henry, for movement forward to Smith, as he could free them from reserve duty in Missouri, where they were backing up Curtis in his pursuit of Van Dorn into Arkansas and Pope’s efforts to capture the Confederates blocking the Mississippi at Island No. Ten. Plainly, Halleck needed Grant at Henry, managing the movement of gunboats and transports on the Tennessee, more than he needed Grant leading the “advance” of an expedition which, in its initial stages, would be establishing an advanced staging area in anticipation of an advance overland to Corinth where Halleck expected “the battle of the West” to take place. So, for the 28th Illinois Regiment March 6, 1862 the official history record reads: Having been assigned to General S. A. Hurlbut’s Division the 28th moved from Fort Heiman to Pars Landing, marching in a blinding snowstorm all day. The 28th Illinois stays at Paris Landing until March 9, 1862. This entry was posted in Family History and tagged 1862, civil war, family, genealogy, history, Illinois, March, Paris Landing, Pike County, Tennessee.